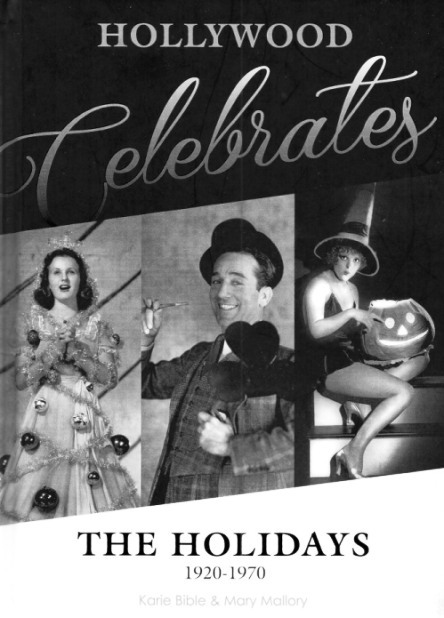 Marvelously illustrated with more than 200 rare images from the silent era through the 1970s, this joyous treasure trove features film and television’s most famous actors and actresses celebrating the holidays, big and small, in lavishly produced photographs. Join the stars for festive fun in celebrating a variety of holidays, from New Year’s to Saint Patrick’s Day to Christmas and everything in between. Legends such as Elizabeth Taylor, Joan Crawford, Judy Garland, and Audrey Hepburn spread holiday cheer throughout the calendar year in iconic, ironic, and illustrious style. These images, taken by legendary stills photographers, hearken back to the Golden Age of Hollywood, when motion picture studios devised elaborate publicity campaigns to promote their stars and to keep their names and faces in front of the movie-going public all year round.